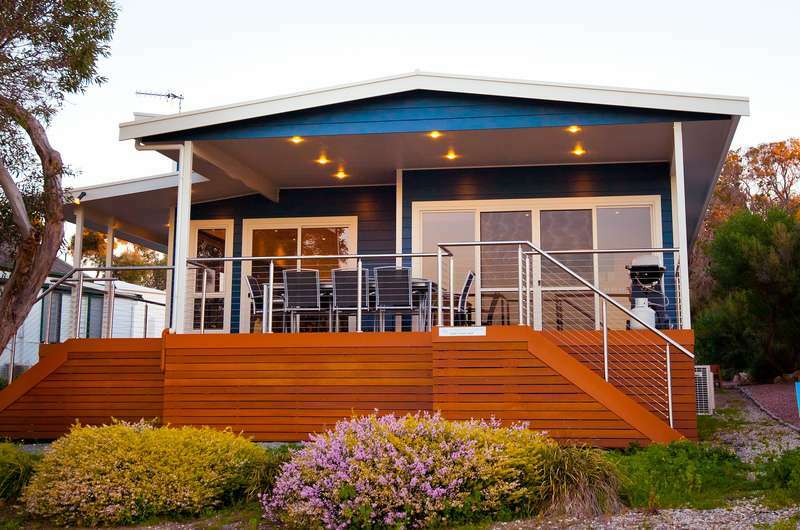 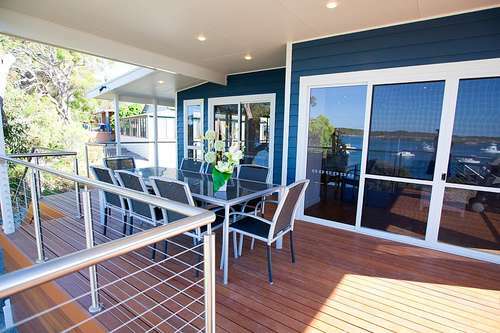 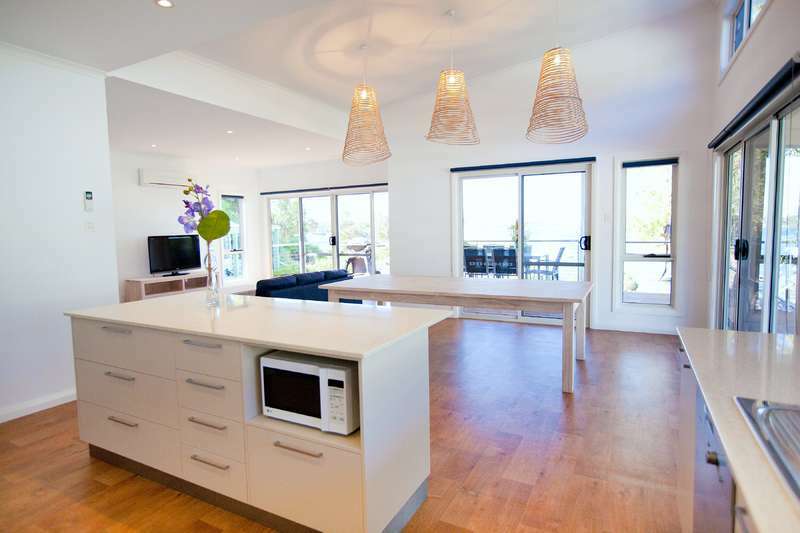 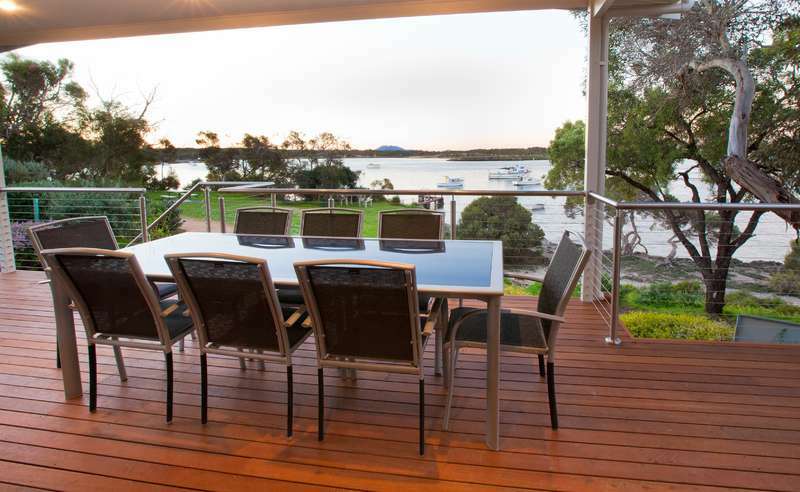 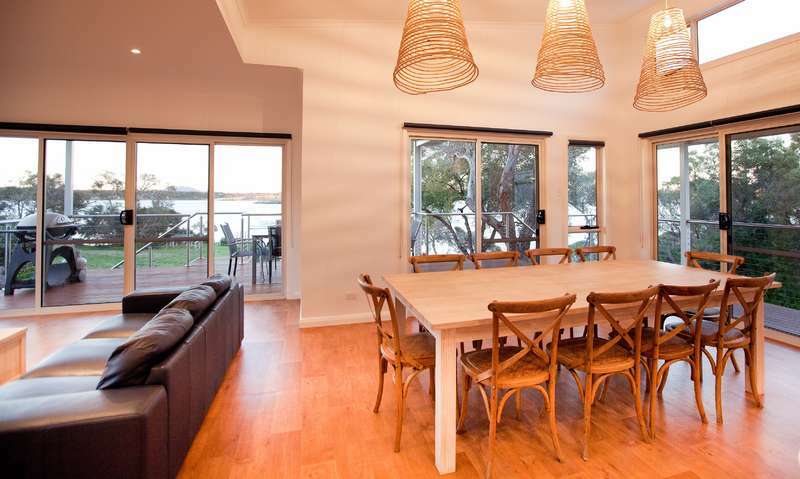 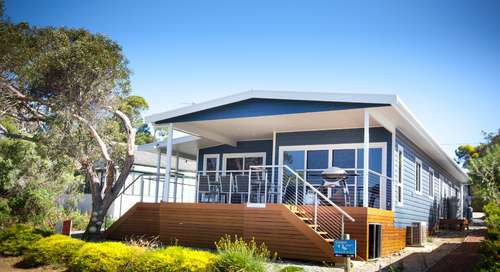 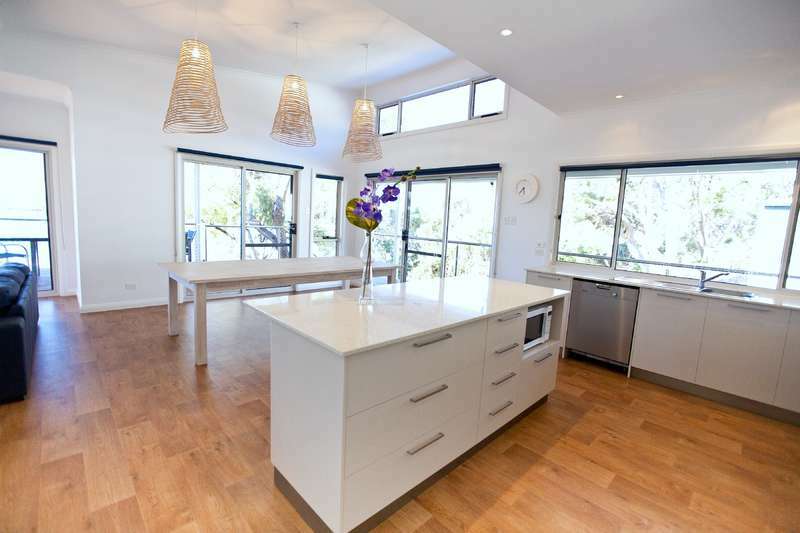 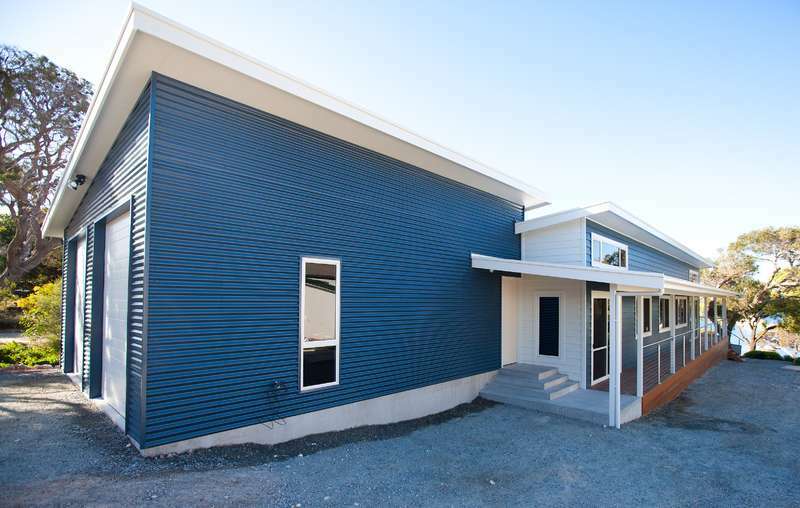 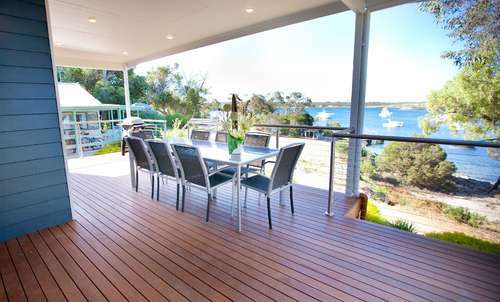 and a gentle stroll to the Town Jetty, Yacht Club and Boat Ramp ; this holiday home is ideally positioned to enjoy all that Coffin Bay has on offer. 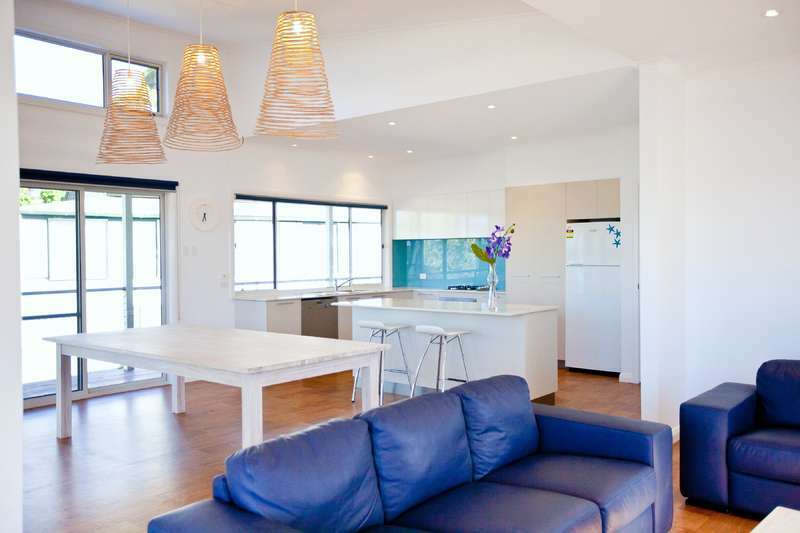 Big open plan living areas, a very well appointed kitchen and a spacious deck make this the ideal property for your next holiday. Sleeping up to 14 guests, Angasi comfortably accommodates two families or large fishing groups with its five bedrooms and two bathrooms. 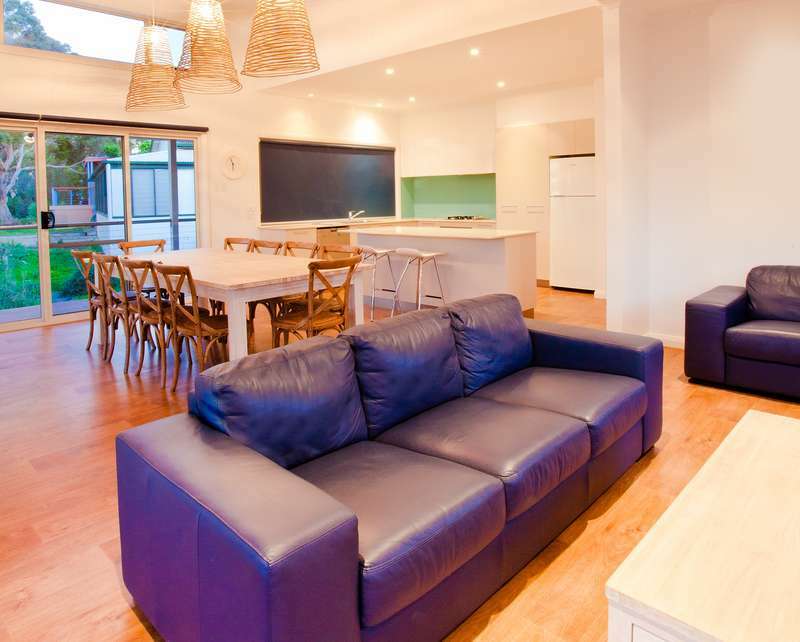 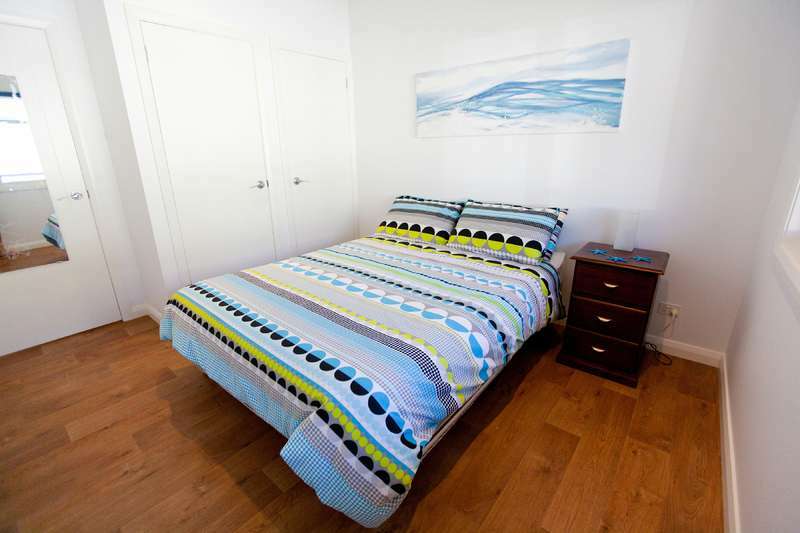 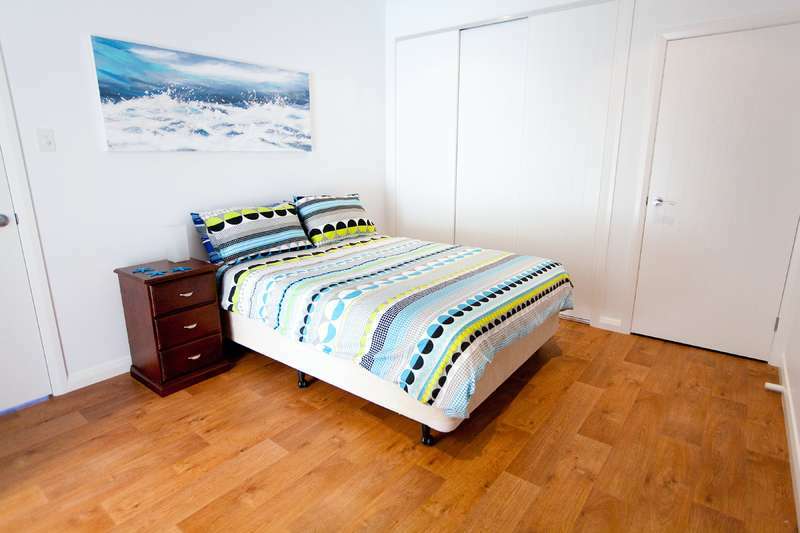 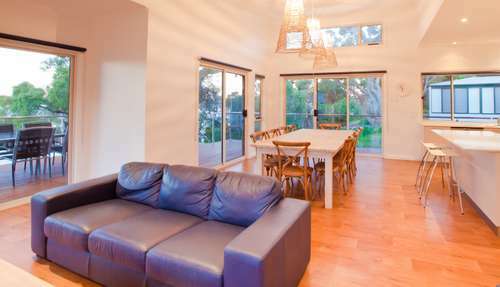 The fifth bedroom at the rear of the property (with second TV) is a perfect kids retreat. 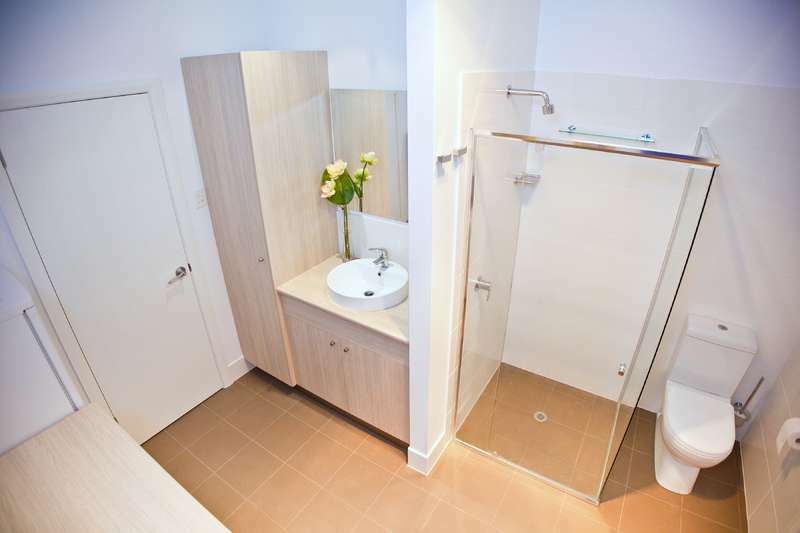 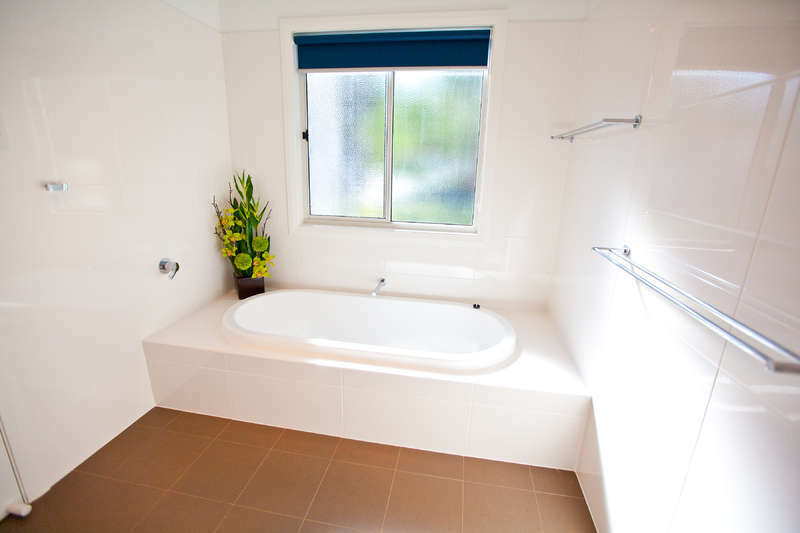 2 bathrooms - one for the ladies and one for the men - it works a treat!